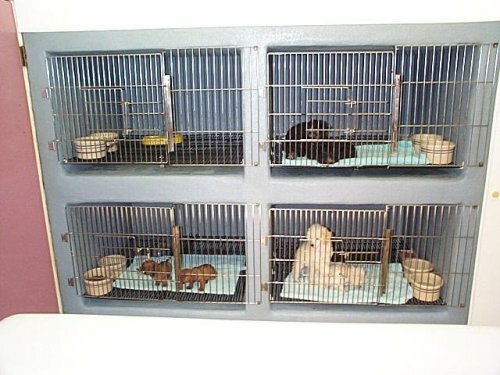 This is our ShowRoom View that we place Teacup Poodle Puppies and Teacup Yorkie Puppies in that are for sale and old enough to go. This room is viewable from the office area. It is kept very clean and sanitized by spraying down with a water hose and disinfectant.